(Bloomberg) -- Deutsche Bank AG’s new European wealth management head, Claudio de Sanctis, slashed the number of regional managers and announced aggressive hiring plans in a bid to jump-start revenues at the unit. As part of the shakeup, the German lender hired Marco Pagliara from Goldman Sachs Group Inc. He will oversee northern and eastern Europe as one of six market heads, down from 14 previously. 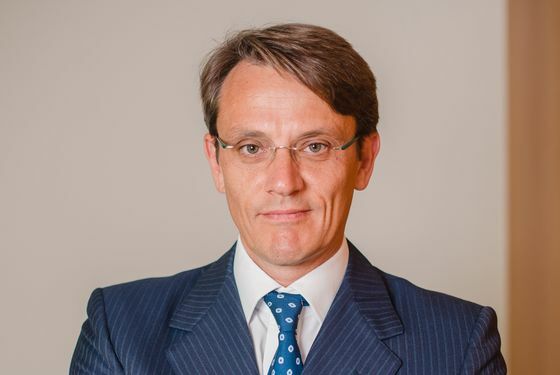 De Sanctis, just three months on the job, also cut the number of regional chiefs in the bank’s German home market by two thirds in a bid to simplify the structure. De Sanctis was hired last year from Credit Suisse Group AG to run the European unit of a division headed by Fabrizio Campelli. With 199 billion euros ($227 billion) overseen for clients, Deutsche Bank’s wealth management is small compared with rivals such as Credit Suisse and UBS Group AG, but its one area where Chief Executive Officer Christian Sewing wants to expand as he cuts back the securities unit. Shares in Deutsche Bank closed 4.1 percent lower to 7.44 euros in Frankfurt. Deutsche Bank’s plans to win over more millionaires in Europe brings de Sanctis head to head against his former boss, Iqbal Khan, who leads the key international wealth management division at Swiss rival Credit Suisse Group AG. De Sanctis spent five years at Credit Suisse, most recently heading its business with European clients. He previously worked for UBS Group AG’s European wealth business, his last post there being market head for Iberia and the Nordic countries. “We want to build the preeminent pan-European wealth manager and we’re hiring from our main competitors to achieve that,” de Sanctis said in a phone interview. Even with more relationship managers, winning clients won’t be easy. UBS’s Chief Executive Officer Sergio Ermotti said yesterday that wealth management revenue at the world’s largest private bank is down about 9 percent this quarter from a year ago as clients stayed on the sidelines. At Deutsche Bank, wealth management clients pulled a net 4.4 billion euros last year, amid market turmoil in the final months and images of a raid on its Frankfurt headquarters. The new market heads appointed for the European wealth management operations also include Anke Sahlen, Frank Schriever, Stephan Jugenheimer, Roberto Parazzini and Daniel Kalczynski. The bank also hired Alessandro Caironi from Credit Suisse as head investment manager.